Finding the right kind of artwork for a child’s bedroom or playroom can be really tough. Gone are the days when the only choices on offer were pastel teddy bears or alphabet friezes, but it’s still difficult to narrow down the options and find something that will fit not just that room but the feel of the rest of your house. If you are looking for artwork that captures a kind of playful whimsy while offering the modern feel of papercut collage, you should have a look at the offerings from American artist Kim Stewart. Her Etsy shop NeroliSkye has a selection of collages and papercuts which manage to happily combine modernity and nostalgia. The pieces come in a range of sizes, but most are somewhere between 20x25cms and 30x30cms so they will fit easily in standard frames (and she is happy to include frames for an additional charge although I imagine this will increase the shipping rates, which vary). 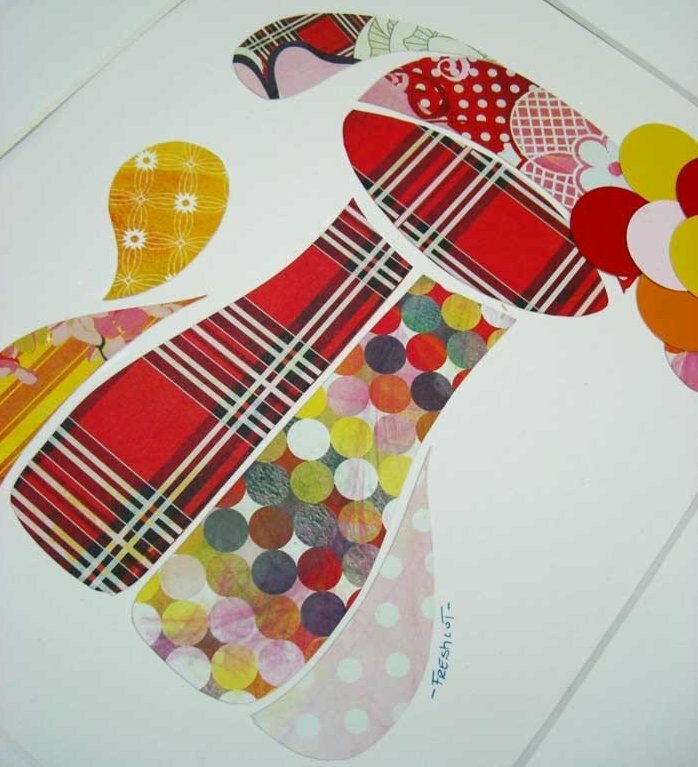 Prices vary according to the style of artwork – prints are the cheapest (the balloon pictured below is just US$12) and collages with wooden backing are more expensive (the silhouetted girl with balloons below is US$30) – but are still a steal for a piece of original artwork. There are many more on offer so browse away and start planning how to freshen up those little corners.